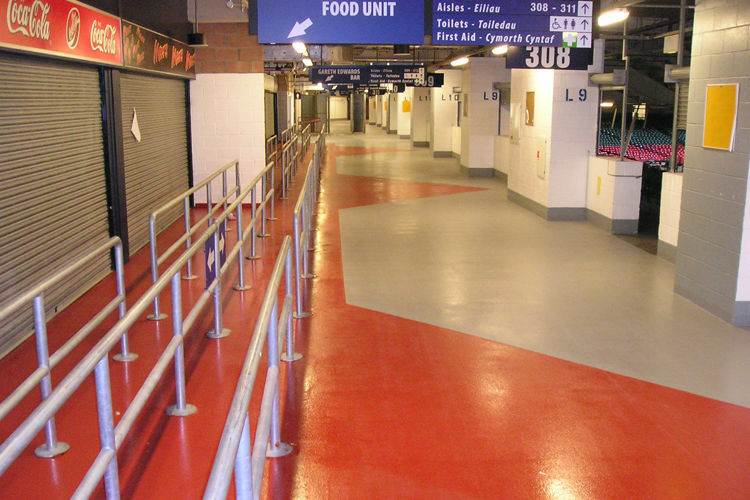 The Millennium Stadium project was a £1.2 million contract comprising new self-levelling floor screeds to Level 5, for the carpeted concourses and hospitality boxes, and high-build anti-slip epoxy coatings to all the other concourses, toilets and catering facilities. To the concrete bowl areas, we applied a dust-proofing sealer and high visibility, anti-slip, yellow nosings to the thousands of steps. 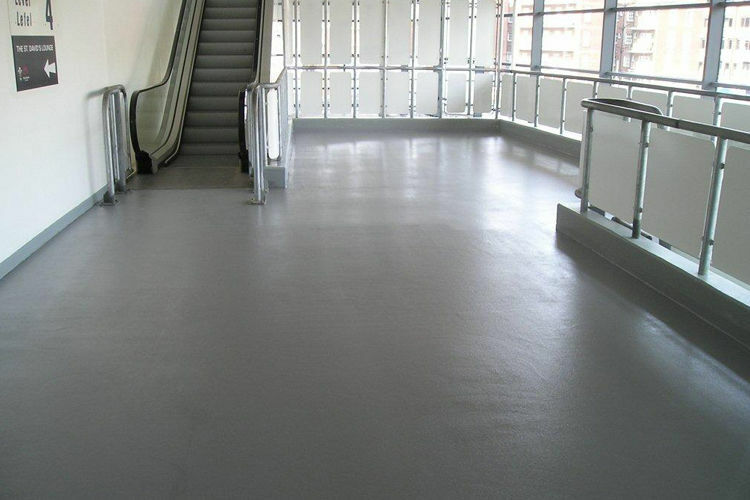 To the basement car park, we applied a DPM grade membrane and a fast cure polyurethane system. There were also other flooring works completed such as the soft slip resistant rubber floor system applied to the changing rooms and players corridor. The finished floorapplied featured decorative logos, such as the famous Welsh dragon in what was a very enjoyable and memorable project to be associated with. The work was completed ahead of programme in 1999 in time for the first RWC match.